April is a super knowledgeable, passionate professional. She helped me with my financial investments and I feel much more confident about my funds and how they will do over time. April is able to communicate the information in a way that makes sense and is not overwhelming or intimidating. April is passionate about empowering women to educate themselves about financial wellness and to make informed decisions about their financial futures. Why you should work with April Caldwell. Several years ago, I met April at a financial education workshop that she hosted. I was seeking direction with financial planning, but did not know how or where to start. I wanted someone I could trust to manage my money and watch out for my best interests. Talking with her put me completely at ease about sharing my lack of knowledge and my need for financial planning. I found her to be trustworthy, knowledgeable and eager to show me how to protect my future. And she communicated the information so that I could understand. I have been a client of April’s since 2015 and have seen how she has helped my money grow. I have the confidence that my family and I are protected. I believe April cares about me in other ways, as well, as she includes me in other opportunities that she believes will benefit me. I wholeheartedly recommend April for helping with your financial planning. - Shari Andrews. Hospital Administrator, Married, Mom of 2. My recent interview on the news about the state of student loans. 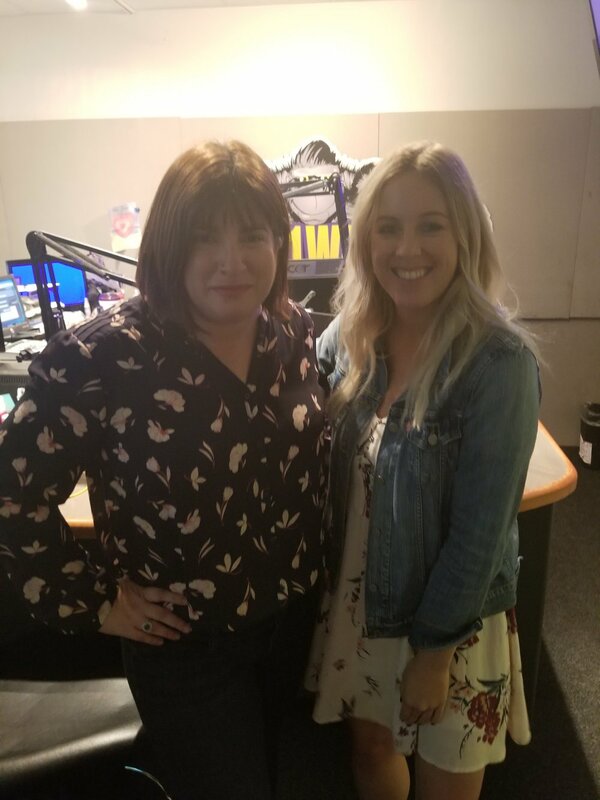 April with Meghan from WAPE, Morning Show Co-host and Host of Babecast podcast. April with Donna Deegan, author, breast cancer awareness advocate, and former weekday television anchor on First Coast News in Jacksonville, Florida, Andrew Gillum, Mayor of Tallahassee and candidate for FL Governor, Catalina Alers-Alers is the weeknight host on 97.9 KISSFM, co-host of the But First, Brunch podcast and TV correspondent for JTA’s Around Town series on Making Moves.